dotMD is in its third year and is curated by Dr. Ronan Kavanagh and Dr. Muiris Houston. dotMD is a 2 day festival of curiosity for doctors and healthcare practitioners looking for more from medicine. Creating a welcoming retreat where attendees can pause, relax and reflect. Choosing speakers who are thought-provoking, entertaining, and interesting to an audience drawn from across a wide spectrum of medicine. Viewing medicine with fresh eyes through the lenses of culture, the arts, philosophy and technology. Redirecting our focus as doctors both outwards (to the worlds of arts, philosophy, technology), and inwards (self care, mental health, reflection). Highlighting the unexpected resonances and synergies that occur in the spaces where disciplines meet. Creating a medical gathering where there is no academic hierarchy, no scoring and no winning. Acting as an inoculation against cynicism, isolation, burnout, and boredom. Attending to the personal development and flourishing of the human beings who just happen to be doctors, helping them meet needs of those human beings who just happen to be patients. Although the dotMD programme has been developed with the needs of doctors in mind, all health care professionals are welcome to attend. Dr Muiris Houston is adjunct professor of medical humanities at Trinity College Dublin; he also teaches a narrative medicine module to medical students at NUI Galway. He is an award-winning medical journalist and health analyst with The Irish Times. Alan Coss is a gastroenterologist based in Galway. He has an interest in how medicine interacts with the arts and social media, and has been an advisor to the dotMD team since the very first meeting. 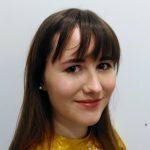 Eimear is the 2018 dotMD intern. In her day job she is a real (academic) intern at St James Hospital. This this is her 3rd year at dotMD.